Electrical training is over; exams successfully passed. It is now time to start your career as an electrician. So how do you make the phone ring? We have been asked this on numerous occasions and are fortunate enough to have our own electrical installation company so we can give you advice that is tried and tested. 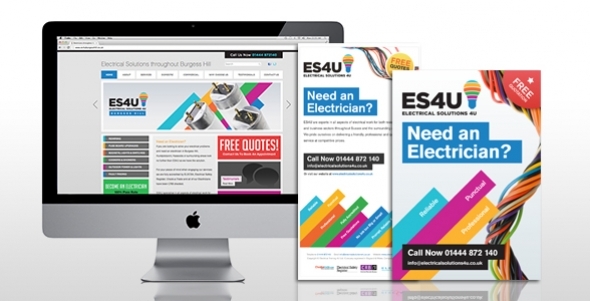 Here are a few of our top marketing tips for self-employed electricians. Firstly, we would suggest that you invest in a good website which will act as your shop window. With the World Wide Web being such a key part of everyday life for customer searches it is imperative that your business has a presence in this arena. Our website generates substantial enquiries for us, so much so we have stopped advertising in local papers. With such a large continuous swing of people searching on the internet it is a “must have” for your marketing activities! 1) Straight to the point – “Need an Electrician”. 2) Focusses on what a customer wants – “Reliable, Punctual, Professional and Honest”. 3) Colourful quality flyer – Feedback demonstrates that customers keep for future use. 4) Advertise an offer (10-20% off) – Everyone wants to think they are getting a good deal. I don’t know about you but when was the last time you got a flyer like this from an electrician? In our case we never have! 1) All our staff are CRB checked and we explained what it meant. 2) We were registered members of ELECSA and all our staff hold ID badges. 3) Our company could be found on the electrical safety register. 4) Special discounts for old age pensioners. So the message for this target audience is clear make sure that the customer feels that the person calling does not represent a threat by alleviating their concerns within the advertisement! We do hope you have found the article interesting and good luck with your future career! If you enjoyed these marketing tips, take the next stage and decide if you should buy a van or lease a van to kickstart your business!